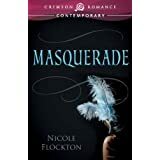 Birthday Song for author Nicole Flockton + Contest! A disco-y Birthday song for Nicole Flockton! 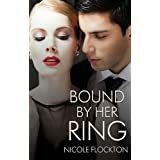 Nicole Flockton is a complete darling! 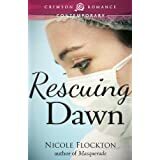 If you read romance check out her books. I’m so happy that she has a new book, Seducing Phoebe, next month! We’re going to party again. 🙂 But today I’m celebrating her and singing a song that was number 1 on the day she was born… I only knew the chorus *blush* So I had to look at the lyrics. Check out this fun website to find out what song was #1 on your birthday too. Percy Faith – Theme From ‘A Summer Place’ Man I feel OLD!!! Lol no! Not old 😀 experienced! I am old. LOL My song was Mack the Knife by Bobby Darin. Awwww, Happy Birthday Nicki! wait…..Jubilant Celestial Recurrence Marking the End of Your Natal Gestation! That sounds better. And Love and adore Kat! It was Sherry by The Four Seasons. My birthday song was You’ve Got a Friend – James Taylor . Happy Birthday and enjoy the day! Happy Birthday Nikki! Hope you have a wonderful day. Mine was “(I Just) Died in Your Arms” by The Cutting Crew. Mine was Come on Eileen! Previous PostPrevious Spotlight on Lord Griffin’s Prize by Katalina Leon + Excerpt + Contest!